This guide provides detailed information about how you can use five computers to create a test lab with which to configure and test IPv6 with the Microsoft® Windows® XP Professional with Service Pack 2 (SP2) operating system and the 32-bit versions of the Windows Server™ 2003 with Service Pack 1 (SP1) operating system. These step-by-step instructions take you through the configuration required for setting up IPv6 in the test lab. The following instructions are for configuring a test lab using a minimum number of computers. Individual computers are needed to separate the services provided on the network and to clearly show the desired functionality. This configuration is neither designed to reflect best practices nor is it designed to reflect a desired or recommended configuration for a production network. The configuration, including IP addresses and all other configuration parameters, is designed only to work on a separate test lab network. A computer running Windows Server 2003 with SP1, Standard Edition, that is used as a Domain Name System (DNS) server. This computer is named DNS1. A computer running Windows XP Professional with SP2 that is used as a client. This computer is named CLIENT1. A computer running Windows Server 2003 with SP1, Standard Edition, that is used as a router. This computer is named ROUTER1. A computer running Windows Server 2003 with SP1, Standard Edition, that is used as a router. This computer is named ROUTER2. A computer running Windows XP Professional with SP2 that is used as a client. This computer is named CLIENT2. The following figure shows the configuration of the IPv6 test lab. Subnet 1 uses the private IP subnet prefix of 10.0.1.0/24 and global subnet prefix of 2001:DB8:0:1::/64. Subnet 2 uses the private IP subnet prefix of 10.0.2.0/24 and global subnet prefix of 2001:DB8:0:2::/64. Subnet 3 uses the private IP subnet prefix of 10.0.3.0/24 and global subnet prefix of 2001:DB8:0:3::/64. All computers on each subnet are connected to a separate common hub or Layer 2 switch. The two router computers, ROUTER1 and ROUTER2, have two network adapters installed. For the IPv4 configuration, each computer is manually configured with the appropriate IP address, subnet mask, default gateway, and DNS server IP address. For the IPv6 configuration, link-local addresses are used initially. Dynamic Host Configuration Protocol (DHCP) and Windows Internet Name Service (WINS) servers are not used. The configuration of the lab routing infrastructure goes through three phases. IPv4 routing. This phase demonstrates IPv4 connectivity and the automatic configuration of IPv6 local-link addresses - similar to Automatic Private IP Addressing (APIPA). IPv6 routing. This phase demonstrates all test lab nodes can be reached by using IPv6 traffic. ISATAP routing. ISATAP is an address assignment and automatic tunneling technology that is used to provide unicast IPv6 connectivity between IPv6/IPv4 hosts over an IPv4 intranet. This phase removes IPv6 connectivity for Subnet 2 and Subnet 3 and restores it using ISATAP. The following sections describe how to configure each of the computers in the test lab with the basic IPv6 infrastructure. To create this test lab, configure the computers in the order presented. DNS1 is a computer running Windows Server 2003 with SP1, Standard Edition. It is providing DNS Server services for the testlab.microsoft.com DNS domain. To configure DNS1 for this service, perform the following steps. Install Windows Server 2003 with SP1, Standard Edition, as a standalone server. Set the Administrator password. After restarting, log on as Administrator. Configure the TCP/IP protocol with the IP address of 10.0.1.2, the subnet mask of 255.255.255.0, and the default gateway of 10.0.1.1. Open Windows Components Wizard. To open the Windows Components Wizard, click Start, click Control Panel, double-click Add or Remove Programs, and then click Add/Remove Windows Components. In Components, select the Networking Services check box, and then click Details. In Subcomponents of Networking Services, select the Domain Name System (DNS) check box, click OK, and then click Next. If prompted, in Copy files from, type the full path to the distribution files, and then click OK. Define a forward lookup zone named testlab.microsoft.com that allows dynamic updates. Open DNS. To open DNS, click Start, select Administrative Tools, and then click DNS. In the console tree, click and then right-click the DNS server DNS1, and then click New Zone to run the New Zone Wizard. On the Welcome to the New Zone Wizard page, click Next. On the Zone Type page, the option to create a primary zone is selected by default. Click Next. On the Forward or Reverse Lookup Zone page, the option to create a forward lookup zone is selected by default. Click Next. On the Zone Name page, type testlab.microsoft.com in Zone name. Click Next. The domain name testlab.microsoft.com is used here for example purposes only. You can use any domain name in your test lab configuration. On the Zone File page, the new zone file name, testlab.microsoft.com.dns, is automatically derived from the zone name entered on the previous page, as shown in the following figure. Click Next. On the Dynamic Update page, select Allow both nonsecure and secure dynamic updates. Click Next. Click Next. On the Completing the New Zone Wizard page, click Finish. CLIENT1 is a computer that is being used as a client. Install Windows XP Professional with SP2 as a workgroup computer. Set the Administrator password. Configure the TCP/IP protocol with the IP address of 10.0.1.3, the subnet mask of 255.255.255.0, a default gateway of 10.0.1.1, and the DNS server IP address of 10.0.1.2. Windows Firewall is automatically turned on in Windows XP Professional with SP2. You need to configure an exception to allow CLIENT2 to ping CLIENT1. Click Start, point to Control Panel, and then click Security Center. Click Windows Firewall, and then in the Windows Firewall dialog box, click the Advanced tab. Click Settings for ICMP, and then click Allow incoming echo request. Click OK twice to close Windows Firewall. ROUTER1 is a computer that is being used as a router between Subnet 1 and Subnet 2. Install Windows Server 2003 with SP1, Standard Edition, as a workgroup computer. Set the Administrator password. In Control Panel-Network Connections, rename the LAN connection connected to Subnet 1 to Subnet 1 Connection and rename the LAN connection connected to Subnet 2 to Subnet 2 Connection. For Subnet 1 Connection, configure the TCP/IP protocol with the IP address of 10.0.1.1, the subnet mask of 255.255.255.0, and the DNS server IP address of 10.0.1.2. For Subnet 2 Connection, configure the TCP/IP protocol with the IP address of 10.0.2.1, the subnet mask of 255.255.255.0, and a default gateway of 10.0.2.2. Start the registry editor (Regedit.exe) and set HKEY_LOCAL_MACHINE\SYSTEM\CurrentControlSet\ Services\Tcpip\Parameters\\IPEnableRouter to 1. This step enables IPv4 routing between Subnet 1 and Subnet 2. ROUTER2 is a computer that is being used as a router between Subnet 2 and Subnet 3. Open Network Connections, and rename the LAN connection connected to Subnet 2 to Subnet 2 Connection, and rename the LAN connection connected to Subnet 3 to Subnet 3 Connection. For Subnet 2 Connection, configure the TCP/IP protocol with the IP address of 10.0.2.2, the subnet mask of 255.255.255.0, and a default gateway of 10.0.2.1. For Subnet 3 Connection, configure the TCP/IP protocol with the IP address of 10.0.3.1 and the subnet mask of 255.255.255.0. Start the registry editor (Regedit.exe) and set HKEY_LOCAL_MACHINE\SYSTEM\CurrentControlSet\ Services\Tcpip\Parameters\IPEnableRouter to 1. This step enables IPv4 routing between Subnet 2 and Subnet 3. CLIENT2 is a computer that is being used as a client. Configure the TCP/IP protocol with the IP address of 10.0.3.2, the subnet mask of 255.255.255.0, a default gateway of 10.0.3.1, and the DNS server IP address of 10.0.1.2, and append the DNS suffix testlab.microsoft.com. You should be able to successfully ping CLIENT1. Link-local addresses, identified by the beginning address block FE80, are equivalent to APIPA IPv4 addresses autoconfigured on computers running current Microsoft Windows operating systems using the 169.254.0.0/16 prefix. One of the most useful aspects of IPv6 is its ability to automatically configure itself without the use of a stateful configuration protocol, such as Dynamic Host Configuration Protocol for IPv6 (DHCPv6). By default, an IPv6 node configures a link-local address for each interface. Link-local addresses are used by nodes when communicating with neighboring nodes on the same link (a network segment bounded by routers). The scope of a link-local address is the local link. An IPv6 router never forwards link-local traffic beyond the link. At this point in the lab configuration, only IPv4 traffic across the subnets is routed through an IPv4 routing infrastructure. However, you should be able to successfully ping neighboring link-local addresses. After the lab is configured to route IPv6 traffic, you will be able to successfully ping using global addresses. On CLIENT1, type the ipconfig command to obtain the link-local address and interface index of the interface named Local Area Connection. In this example, the link-local address is FE80::203:FFFF:FEE1:2A73 and the interface index is 5. On DNS1, type the ipconfig command to obtain the interface index of the interface named Local Area Connection. In this example, the interface index of Local Area Connection is 4. A successful ping demonstrates that CLIENT1 and DNS1 are neighbors on the same link. Configure a static IPv6 routing infrastructure so that all test lab nodes can be reached by using IPv6 traffic. On ROUTER1, type the ipconfig command to obtain the link-local addresses of the interfaces connected to Subnet 1 Connection and Subnet 2 Connection. On ROUTER2, type the ipconfig command to obtain the link-local addresses of the interfaces connected to Subnet 2 Connection and Subnet 3 Connection. Steps a. and b. configure the Subnet 1 and 2 Connection interfaces to route (forward IPv6 packets not addressed to them) and advertise subnet prefixes (for address autoconfiguration). Steps c. and d. add routes to the IPv6 routing table corresponding to the subnet prefix for Subnet 1 and 2 and configures the router to advertise these routes in Router Advertisement messages. Step e. adds the default route to the IPv6 routing table and configures the router to advertise itself as a default router in the Router Advertisement messages. At this point, you have now created static IPv6 routes with global subnet prefixes. Global addresses are equivalent to the IPv4 public address space. Unlike link-local addresses, global addresses are not automatically configured and must be assigned either through stateless or stateful address configuration processes. You can determine which address is the global address by the "ff:fe" portion of the public address in the sixth and seventh blocks of the address, indicating an EUI-64-based interface ID. The Extended Unique Identifier (EUI)-64 address is a newer 64-bit MAC address. On CLIENT1, type the ipconfig command to check for a new global IPv6 address. In this example, the CLIENT1 global address is 2001:DB8:0:1:203:FFFF:FEE1:2A73. A successful ping and tracert demonstrates that IPv6 static routes have been created and are functioning. To resolve host names to IPv6 addresses, you must first configure DNS. On DNS1, create an AAAA record for CLIENT2 with the DNS name client2.testlab.microsoft.com for its global IPv6 address using the IPv6 Host resource record type. On DNS1, click Start, select Administrative Tools, and then click DNS. In the console tree, click and then right-click testlab.microsoft.com in the Forward Lookup Zones folder, and then click Other New Records. Click IPv6 Host (AAAA), and then click Create Record. In the Host text box type client1, and then in the IP version 6 host address text box, enter the IPv6 global address for CLIENT1. Click OK, and then click Done to add the new IPv6 host record to the zone. A successful ping demonstrates that host names can resolve to IPv6 addresses. ISATAP is an address assignment and automatic tunneling technology that is used to provide unicast IPv6 connectivity between IPv6/IPv4 hosts on an IPv4 intranet, which are also known as ISATAP hosts. ISATAP is described in RFC 4214. More information about ISATAP can be found in the IPv6 Transition Technologies white paper (http://go.microsoft.com/fwlink/?LinkId=67210). By default, the IPv6 protocol for Windows XP Professional with SP2 and Windows Server 2003 with SP1, Standard Edition, configures a link-local ISATAP address on the Automatic Tunneling Pseudo-Interface for each IPv4 address assigned to a computer. Advertises its presence and address prefixes, enabling global ISATAP addresses to be configured. Optionally forwards IPv6 packets between ISATAP hosts on the IPv4 intranet and IPv6 hosts beyond it. An ISATAP router is typically configured to perform both functions, but can perform either individually. Most often, an ISATAP router acts as the forwarder between ISATAP hosts on an IPv4 intranet and IPv6 hosts on an IPv6-enabled portion of an intranet. To demonstrate the use of an ISATAP router between IPv6 and IPv4 intranets, the following steps first separate the lab into a portion that has IPv4 and IPv6 connectivity and another that has IPv4 connectivity only. Then, ROUTER1 is configured as an ISATAP router so that hosts on the IPv4-only portion of the intranet can communicate with hosts on the IPv6-enabled portion of the intranet. To do this, we will disable IPv6 forwarding and advertising on the Subnet 2 Connection interface of ROUTER1 and both interfaces of ROUTER2. This emulates an intranet in which a portion is IPv6-enabled (Subnet 1) and a portion is not (Subnet 2 and Subnet 3). Disable forwarding and advertising on the Subnet 2 Connection interface of ROUTER1 and ROUTER2. This Ping command fails because there is no longer IPv6 connectivity between CLIENT2 and CLIENT1. Configure ROUTER1 as an ISATAP router advertising the 2001:DB8:0:10::/64 route to the logical ISATAP subnet consisting of Subnet 2 and Subnet 3. Add an ISATAP address (A) resource record to the DNS server for the IPv4 address of 10.0.2.1. In the console tree, click and then right-click testlab.microsoft.com in the Forward Lookup Zones folder, and then click New Host (A). In the Name text box, type ISATAP, and in the IP address text box, type 10.0.2.1, as shown in the following figure. Click Add Host, click OK, and then click Done to add the new host record to the zone. This ping command succeeds because IPv6 connectivity using ISATAP now exists between CLIENT2 and CLIENT1. On the link between CLIENT1 and ROUTER1, the IPv6 traffic is encapsulated as IPv4 packets. It may take a few minutes for IPv6 connectivity between CLIENT2 and CLIENT1 to be established. You may need to restart CLIENT2 and run netsh interface ipv6 renew on CLIENT1. This guide described the steps required to configure IPv6 in a test lab with five computers. It also described how to use ISATAP to provide IPv6 connectivity between IPv6/IPv4 hosts on an IPv4-only portion of an intranet and IPv6 hosts on an IPv6-enabled portion of an intranet. What is the status of IPv6 support in Microsoft Operating Systems? How to enable IPv6 in Windows XP (service pack 1 and later) or in Windows Server 2003? How to enable IPv6 in Windows XP (no service pack)? What is new for IPv6 in Windows XP SP2? How to enable IPv6 in Windows Vista? How can change the address selection policy? What is different in Windows Vista? IPv6 is officially supported in Windows XP after Service Pack 1 and Windows Server 2003 (any version) and in Windows Vista. There is experimental support for IPv6 in Windows XP (without service pack). Unlessthere is a reason for it, the Windows XP SP1 (or later) and/or Windows Server 2003 implementation should be used for IPv6. IPv6 is officially supported in XP from Service Pack 1 and later and in Windows Server 2003. Because there are other serious reasons to install service pack 1, the following applies to XP SP1, with the differences noted later. IPv6 can be installed the same way, as any other network protocol. Go to Control Panel, networks, network connections. Right click on the network connection, choose properties! Then Add, Protocol, Microsoft TCP/IP version 6. That's all! IPv6 should be up and running. Use the command line utility ipconfig to verify the IPv6 addresses and interfaces. On Windows XP, no service pack, IPv6 is not available in the Add protocols dialog, it can be installed by typing ipv6 install on the command line. The ipv6 command can be used to verify operation. If IPv6 is installed on a machine without service pack, and later upgraded to SP1, ipv6 uninstall is necessary to have IPv6 installable from control panel. You should use netsh commands in interface ipv6 context to query and configure IPv6 interfaces, address, caches, and routes. As a backward compatibility interface you can use ipv6.exe command (' Note: ipv6.exe command is not available on Windows 2003 machines.'). In Windows XP and Windows 2003 you can define address selection defined RFC 3484. 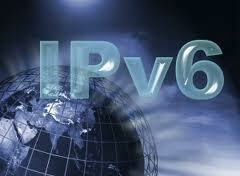 For this purpose you can use netsh interface ipv6 command. See some examples in FreeBSD configuration section. Windows Vista supports IPv6 out of the box and it is enabled at installation. There is now graphical user interface for setting basic IPv6 parameters, available through the properties button on the properties panel for the network connection. Using the IPv6 properties pane, manual or automatic address configuration can be selected. Vista will use stateless autoconfiguration to obtain prefix and gateway information or DHCPv6 to obtain DNS server information. On the Advanced Settings pane, multiple addressess and gateway can be selected. command. Instead of the interface index, the interface name (such as "Local Area Connection") may be given. 2. Right-click any local area connection, and then click Properties. 4. In the Select Network Component Type dialog box, click Protocol, and then click Add. 5. In the Select Network Protocol dialog box, click Microsoft TCP/IP version 6, and then click OK.
6. Click Close to save changes to your network connection. • To open Network Connections, click Start, click Control Panel, click Network and Internet Connections, and then click Network Connections. This article describes how to install and configure IP version 6 (IPv6) in a Windows Server 2003 Enterprise Edition environment. The current version of IP (which is known as IP version 4 or IPv4) has not been substantially changed since RFC 791 was published in 1981. IPv4 has proven to be robust, easily implemented and interoperable, and has stood the test of scaling an inter-network to a global utility the size of today's Internet. This is a tribute to its initial design. Article ID: 2478747 - View products that this article applies to. Internet Protocol Version 6 (IPv6), is the full form of IPv6 which is the "next generation" protocol designed by the IETF to replace the current version Internet Protocol (IP Version 4 ("IPv4")). Windows XP includes IPv6 implementation, but IPv6 must be installed. Click Start, click All Programs, click Accessories, and then click Command Prompt. At the command prompt, type netsh int ipv6 install and press the Enter key on your keyboard. At the command prompt, type: netsh int ipv6 uninstall and press the Enter key on your keyboard. Close the Command Prompt window and restart the computer.